What the early Christian writings tell us is that there were vastly variant beliefs before they all coalesced into what became orthodox Christianity. Once Christianity became the official state religion of the Roman Empire, it ruthlessly beat out all variant branches and burnt their writings or just stopped making copies of the heretic writings which meant they did not survive. The fact that all those writing are now lost makes it difficult for us to piece together the origins very precisely. But here is a quick sampling of some of the interesting branches of early Christianity. Docetism was a strand of Christian theology (variant from what became the orthodox theology) that seem to have been popular during the second century. The proponents thought that Jesus only seemed to be human but did not actually suffer during his crucifixion. If you think about it, it actually seems to make better sense. Why would the Son of God have to suffer? Why not just the appearance of suffering, the docetists seem to have thought! Gnostic sects believed that a creator God or demiurge put us here on earth and there is a bit of divinity in us. Realizing this truth or getting the secret knowledge or gnosis was the way to attain salvation from this material world. Many gnostic sects are believed to have existed, some of them with a Revealer figure who aids in the attainment of the knowledge. The Christian Gnostic sects equated Jesus to this revealer figure. The Johannine Gospel has Jesus revealing to everyone who would listen that he was the way, the bread of life, the light of the world etc. This Gospel is considered by some to have had Gnostic roots. We know of the second century Marcion of Sinope who reputedly bankrolled the Church of Rome for a while. But he had a falling out and found himself excommunicated. Marcion's theology apparently was quite popular and he did not identify the Jewish Yahweh as the Father of Jesus. Yahweh was relegated to the position of a demigod while Jesus' father was a God of love. This was in contrast with the Christian orthodoxy that came to believe that Yahweh was indeed Jesus' father. Marcion appears to have used a collection of ten Pauline epistles and a version of the Gospel of Luke. The versions he used were either stripped and modified to suite his purposes or it is the versions that came down to us that got redacted. We don't know for sure and this is a source of much controversy and speculation. Copies of Marcion's canon unfortunately have not survived. In fact, most of what we know about Marcion comes from church fathers like Tertullian and Epiphanius who make no secret of the fact that they did not like him or his theology so much! It is even a mainstream view that the Orthodox New Testament canon that evolved was a response to Marcion's canon. The Valentinians were a gnostic sect. They seem to have believed in an invisible, incomprehensible, eternal, unbegotten, perfect and preexistent God called Bythus (or Proarche, Propator). Bythus along with Sige who coexisted with him gave rise to lesser Aeons. Of these was Sophia, a degenerate Aeon who suffered from a desire to search and comprehend the greatness of the father Bythus who, as you might remember was invisible, incomprehensible! To purify Sophia, more Aeons were produced including Christ and the savior Jesus, the second Christ. The Demiurge, a lesser divine is the creator god in this theology. Some men fashioned by the Demiurge have a spiritual element which when perfected by Gnosis or knowledge of God becomes ready for salvation. To bring this about, to secure this salvation, the savior descended to earth and took on an animal form. Upon salvation, these men will enter the higher heaven. Lesser men who are of animal nature (and lacking the spiritual element) can enter the lower heavens provided they are righteous. 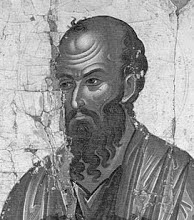 Arius of Alexandria (AD 250–336) taught that the son Jesus was secondary to God the Father. This was a major competitor to Christian Orthodoxy which was defined by the Council of Nicea which gave Christianity the Nicene creed. Nestorius, the patriarch of Constantinople (386-450 AD) taught that Jesus had two natures, a divine one and a human one. Monophysitism on the other hand insisted that Jesus had a single nature which was divine (or a mix of divine and human). Christian Orthodoxy that emerged victorious at the Council of Chalcedon (AD 451) decided that Jesus was fully divine and fully human, simultaneously. And there were many many more strands in the evolution of what became Christianity. Montanism, Sabellianism, the Borborites, the Carpocratians, the Basilideans and many more that has been lost to us. Some of the writings which were considered heretic were destroyed by the Church. Many others were just not copied and were consequently lost to time. We know very little of many of the sects that were active during the first and second centuries. We attempt to reconstruct what they thought from the Church Father's polemic writings. Some of the recent findings like the early Christian gnostic writings at Nag Hammadi and the Jewish writing from Qumran (the Dead Sea Scrolls) give us snapshots of these ancient times. But we'll probably always know that we don't know enough! But what we do know is that early Christianity was a mass of varying views. What came to be known as orthodox Christianity had a long painful evolution from these strands. The view that Jesus taught the disciples, died and with the Holy Ghost guidance Peter and Paul and the rest founded a Church and spread the word far and wide with a teaching that is identical to what Christians believe today is a naive view. What the evidence tells us happened is quite different! The twenty seven books of the New Testament that we today see in most Bibles were declared by the Church to be canonical or authoritative. This canonization process happened gradually and over a long period of time. The four gospels were considered as authoritative as early as the late second century by the proto-orthodox Christians. But there were disputes on which other books to retain and which not to. For instance, the book of Revelation, Philemon, Hebrews etc. were not accepted by many. The Acts of Peter, the epistle of Barnabas, Acts of Paul, Apocalypse of Peter, the epistle of Paul to the Laodiceans, 3rd Corinthians, the book of Hermas, the epistles of Clement etc. were accepted by many to be authoritative. Irenaeus, "Against Heresies, Book I, Chapter XXVI". Irenaeus, "Against Heresies: Book I, Chapter I"
 Richard Carrier, "The Formation of the New Testament Canon" (2000).